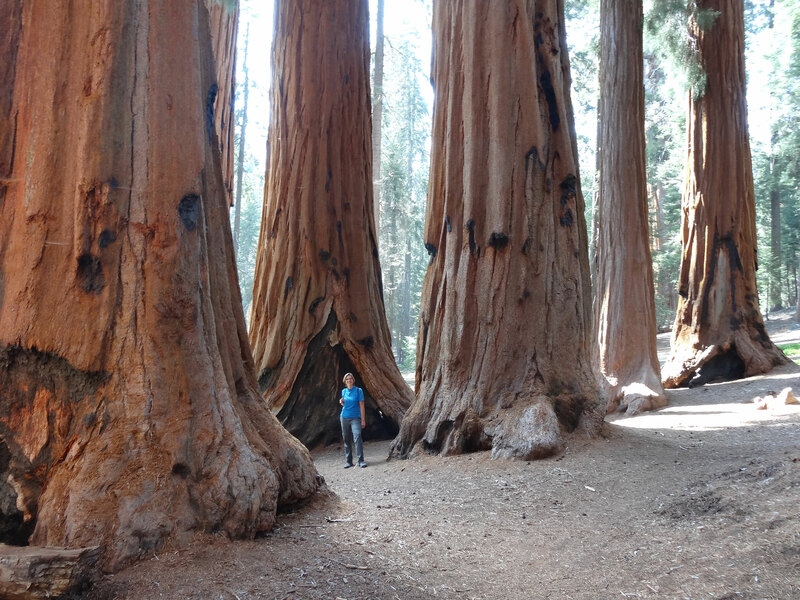 We arrived at Sequoia National Park and were amazed by those giant trees! They truly are beautiful giants, you only realize the size of the trees once you stand underneath them and feel like a tiny ant on the ground – and they are very very old, some more than 3000 years. 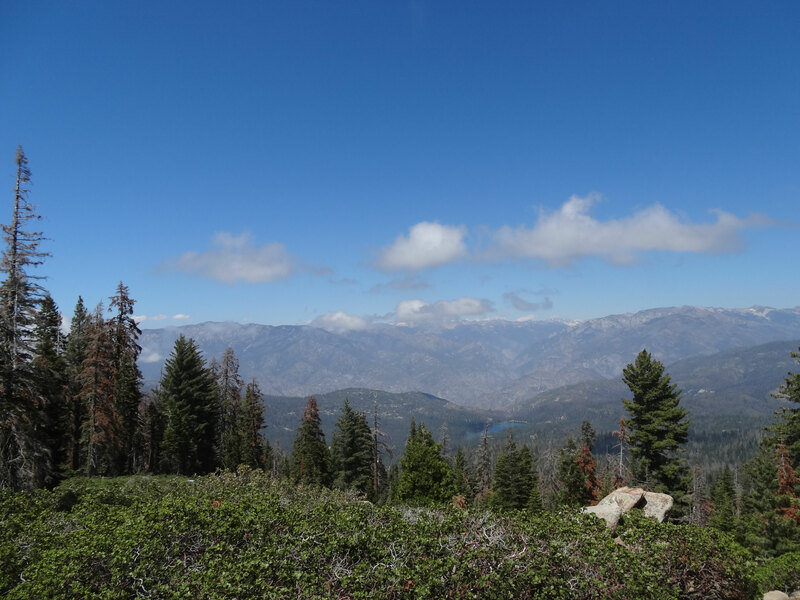 Leaving Sequoia NP, we continued on to Kings Canyon National Park. As we've learned before, things don't always go as planned and so we ended up staying in Grant Grove Village for almost 2 weeks due to a bad cold Christina caught. There was virtually no wifi, no cellphone reception, and we knew all of the groceries you could buy at the small village store by day 3 (bread and beans again?!..). Since we had so much time on our hands, we found the time to read some books and started building a campfire almost every night, roasting marshmallows over the fire and even trying to cook over the campfire once. We also discovered that our water bag doubles as a solar shower. You get creative when you know the next showers are at least 40 km downhill away – meaning you'd have to go 40 km UPHILL after just having showered. 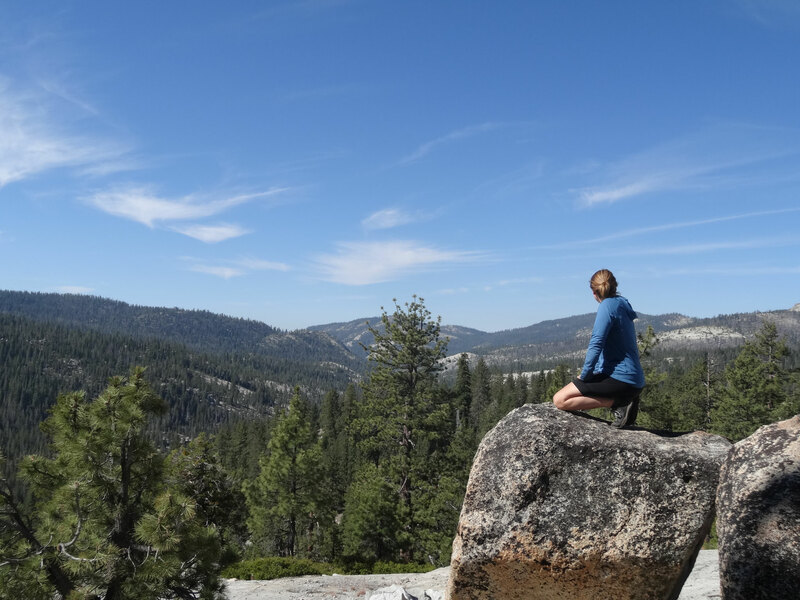 Once we figured it was safe to continue cycling,we went on to Pine Flat Lake. After dropping about 2000 meters in altitude, we made our way towards the lake. It was a very long and slow day, once again the enormous heat took its toll – it was almost 50°C in the sun! Laura got a heatstroke and we had to stop for almost 3 hours during the afternoon. When we finally started cycling again in the evening, it was still extremely hot. To make matters worse, our planned campsite for the night could only be reached by a way-too-steep road for our fully loaded bikes and the campground store we relied upon for re-supplies and water was only open on the weekends. We had been told earlier that day that there were toxic algae in the lake and the water from the faucets might or might not be safe to drink. So we kept on riding at snail's speed towards the next campsite. As it was getting dark, we heard a car honking behind us and there she was – the lady who'd already twice that day filled up our water bottles with fresh well water when passing us with her car. Again pulling up beside us, she declared our repeated encounters to be destiny - and offered to get her pick-up truck, load all of our stuff and bikes and the two of us into the truck and take us to her home where we'd have the opportunity to sleep in a “real” bed and take a shower. Being very exhausted, Laura still fighting the aftermath of her heatstroke, a tiny part of us started believing in destiny as well, we simply had to accept that very generous offer. So we got a good night's sleep and were even treated to breakfast with strong coffee, waffles and bacon, and later a great lunch at Bass lake, since Taffy spontaneously decided she would take us to the lake where it might be a bit cooler again, saving us two days of battling the heat on our bikes. Of course, we were introduced to friends and neighbors along the way – we will be known as the “water girls” in that area from now on. After our bad experiences with the heat, we started getting up around 4 am in order to arrive at our destination before the worst heat in the afternoon sets in. Some mornings we both started looking forward to being able to “sleep in” again once we get back to work..
That way, we reached Yosemite National Park fairly relaxed. 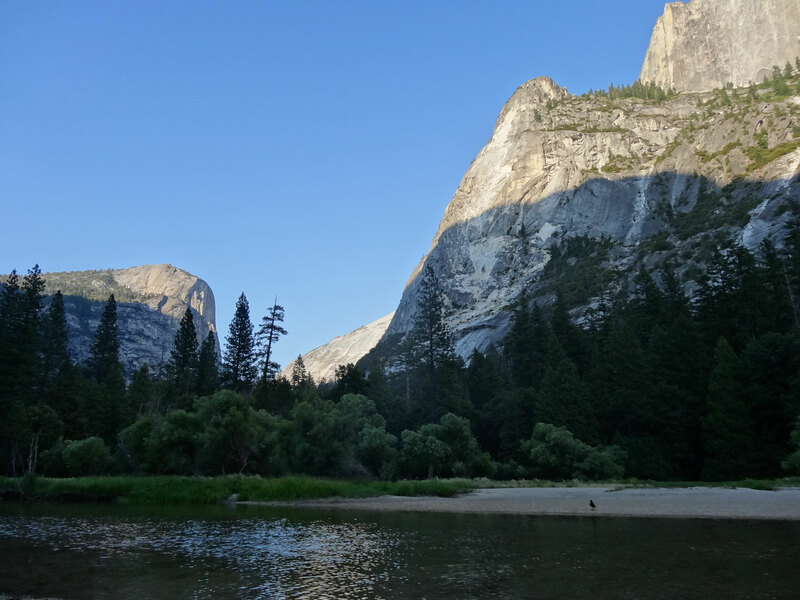 Despite not having any reservations for the campgrounds in the National Park (it gets very crowded in summer) we got lucky the first night and scored the last available campsite. 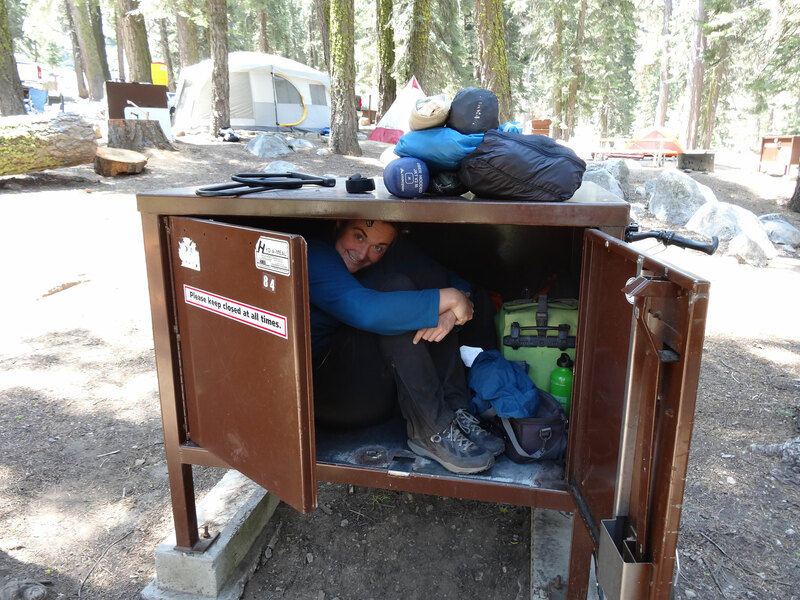 Upon seeing the site we understood why all the rangers kept telling us it wasn't the “greatest site”: it was located right next to the porta potties (at home also known as “Dixieklo”...), jackpot! 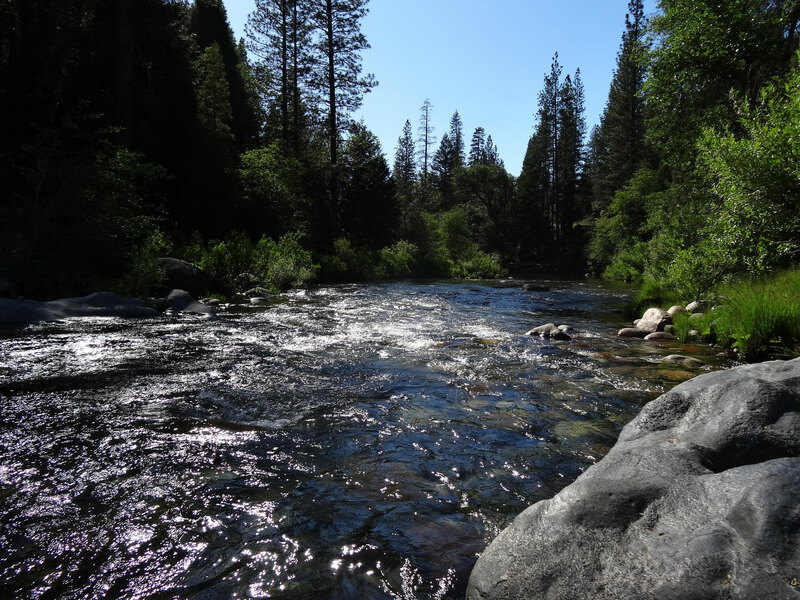 We spent a very nice afternoon there anyways, had access to the river right next to our site and went for a refreshing swim. 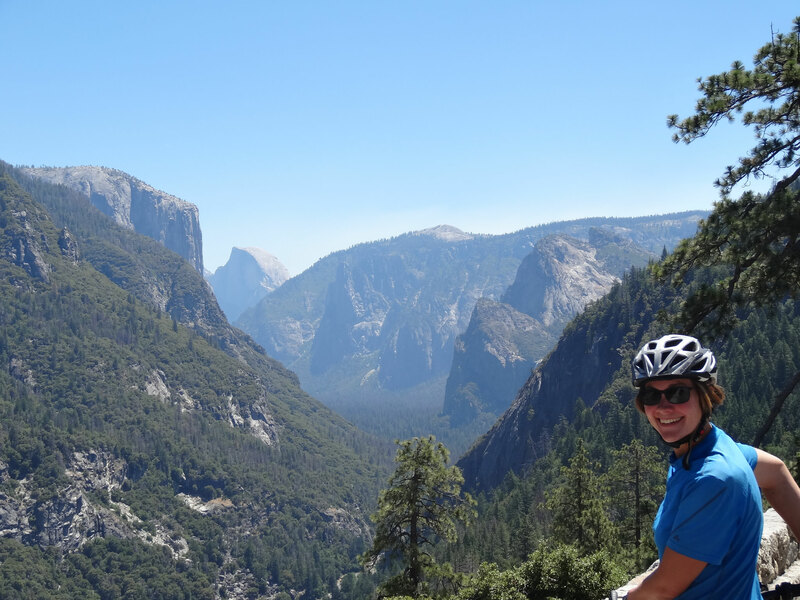 Continuing on to Yosemite Valley, we enjoyed the magnificent scenery, cycled to Mirror Lake for a short dip in the very cold water, visited Yosemite Falls and saw a coyote leisurely strolling around the village - they are not shy at all! Despite being told that there are so many bears, we haven't seen any so far. 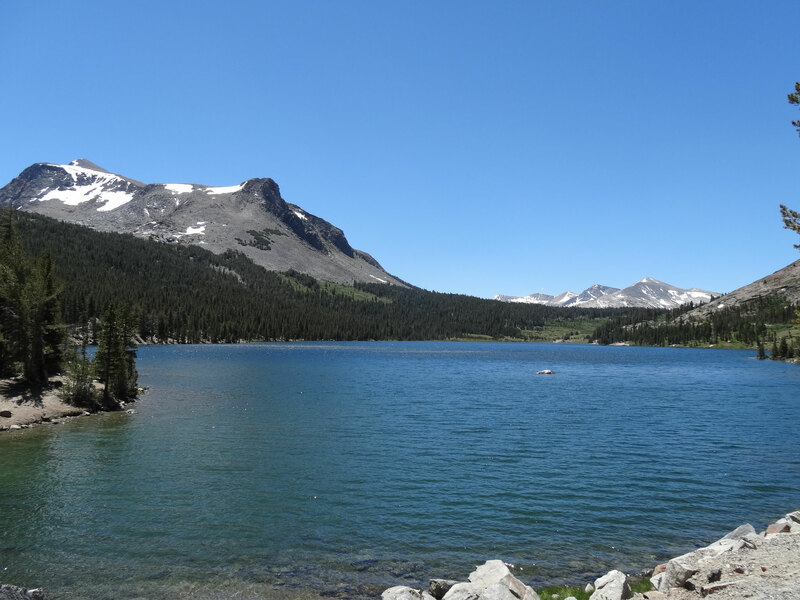 Another highlight waiting for us in Yosemite National Park was the highest mountain pass along the entire Sierra Cascades route: Tioga Pass at almost 3100 m elevation. We had a very long day approaching the pass since both of the campgrounds along the route before Tuolomne Meadows were still closed. Again, getting up at 3 am really paid off! 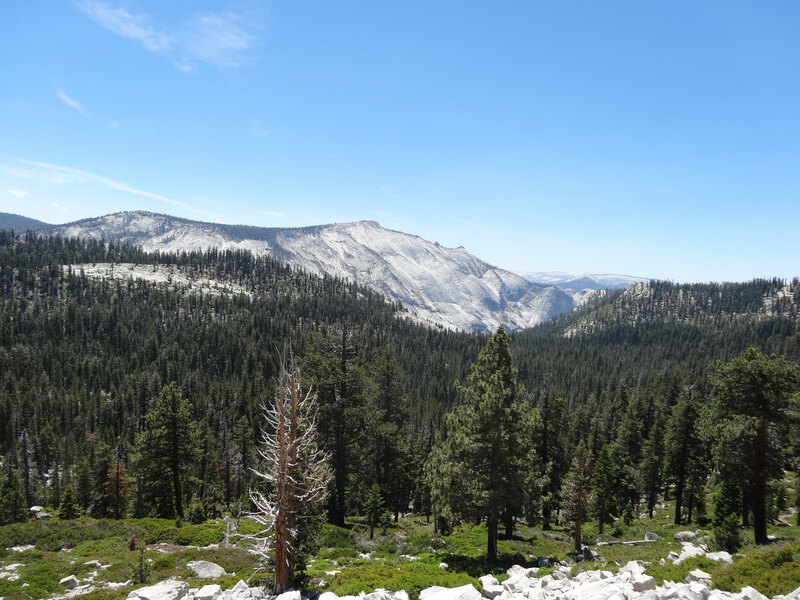 The pass itself was beautiful, amazing alpine scenery and a long, winding downhill to Mono Lake. 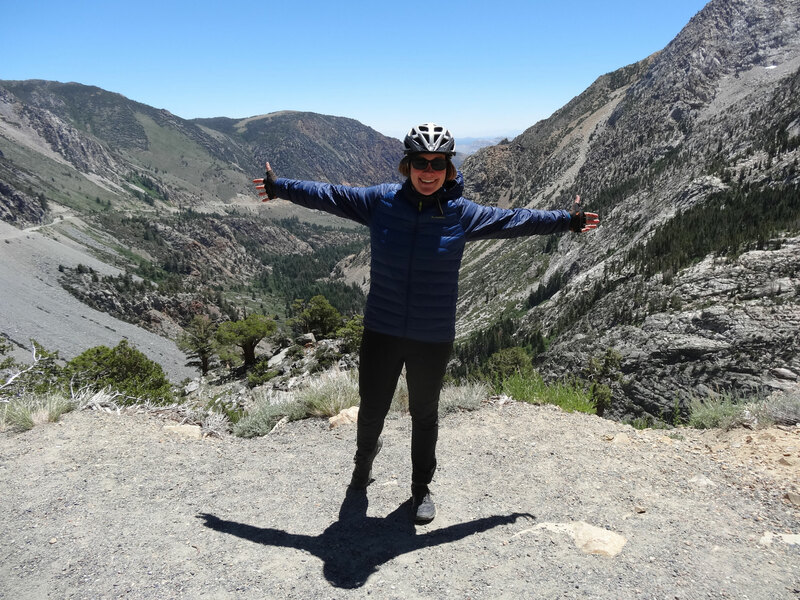 After recharging our batteries (of the electronic devices and our own) at Lee Vining, we went on in the direction of Lake Tahoe. Along the way, asking to fill up our water supplies for the night, we met a retired beekeeper and former touring cyclist (back in the 70ies). He almost instantly presented us with a lot of his very delicious honey and homegrown vegetables and we ended up pitching our tent in his tiny backyard. Sometimes the people who seem to have the least are the most generous. The next day we got up early to tackle yet another pass: Monitor pass, 1000 m of elevation gain at a distance of 15 kilometers, but the scenery once again made up for every single one of them. 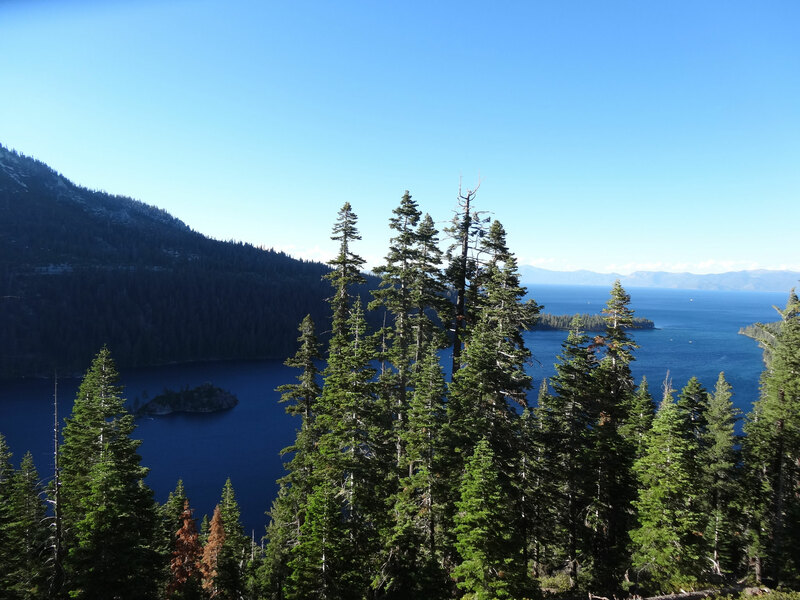 The next day, we finally arrived at Lake Tahoe. The route we took didn't allow us a glance at the lake, so we were very happy when our warmshowers hosts took us for a quick tour to the lake in the evening. We spent a wonderful time at our hosts' place in South Lake Tahoe, being spoilt with amazing food: seafood pasta, pizza, lots of fruit and vegetables, great breakfast and so on. We even got to experience a traditional 4th of July: after a relaxed bike ride we went to watch the parade, later on had a BBQ und watched the fireworks on the lake – perfect! 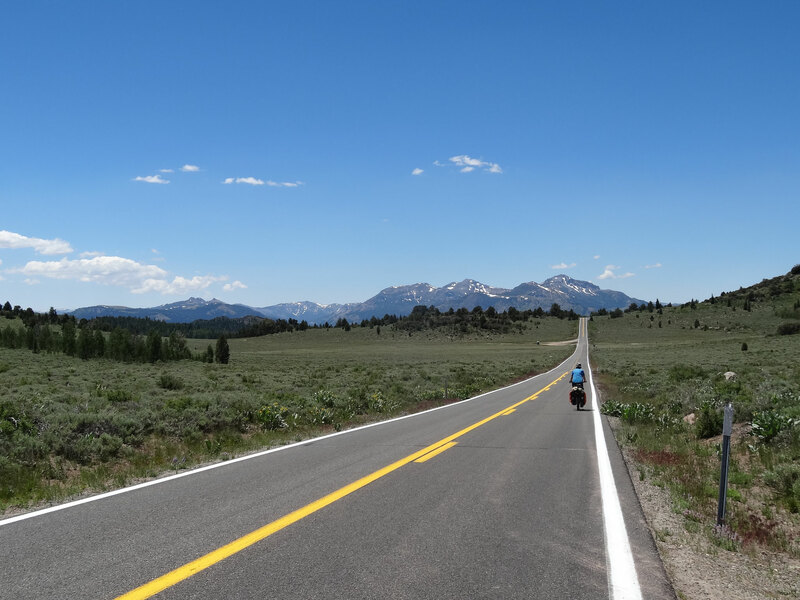 In Truckee we met the first other cyclists doing the same route as we are, only in the opposite direction: we stayed with the same warmshowers hosts. Also, we got a great route recommendation for the next stretch on a lot of dirt road. We had missed the off-road tracks for some time now. Looking for a nice camp spot in the national forest that night, we by coincidence found out that there was a “code red” going on in the area – apparently there was an armed prisoner on the run hiding somewhere in the forests. Those next few miles were probably the fastest we ever cycled uphill! We soon came upon an RV park we'd earlier seen on the map and were lucky once again: we were allowed to camp for free there for the night. From the looks on the camphost's face upon seeing us on her doorstep we must have been the first campers without a huge campervan for a long time – and probably the first ones to arrive on bicycles ever. The next morning we woke up to a family of deer silently grazing around our tent. 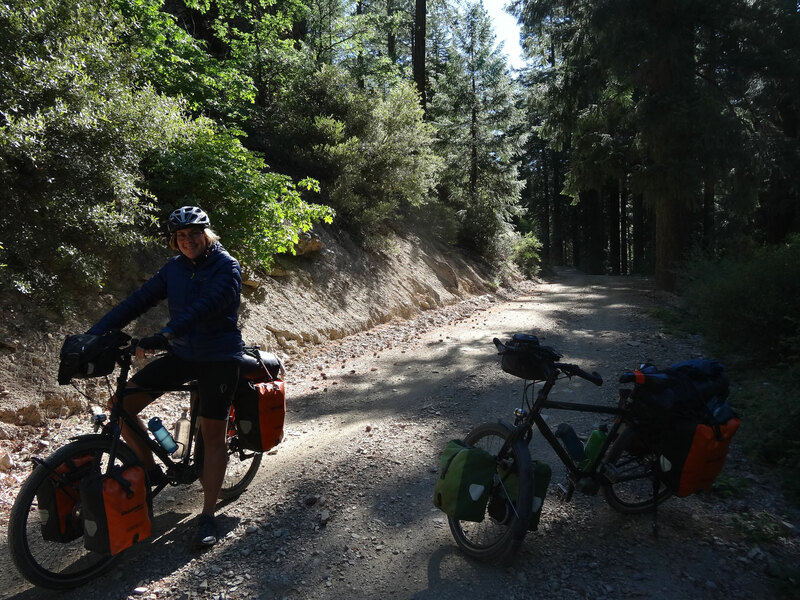 After two great days on remote forest roads we reached the small town of Chester, where we once again met many Pacific Crest Trail hikers on a small hiker/biker-camp area behind the local church. Tomorrow we will continue on towards Lassen Volcanic National Park, there are still many miles to go to Canada.